An independent trade union-led inquiry into the death of Mark Duggan and into the causes of and policing of the riots. Scrap the IPCC. We need police accountability through democratic control by local people. End stop and search. No to section 60. For control of the police to be placed under the auspices of democratically elected local committees involving representatives from trade unions, councils, tenants associations, and community organisations. For the government to immediately cover the uninsured losses and repairs of all small businesses and homeowners affected by the riots. For councils to immediately re-house those who lost their homes in the riots. For investment in social house building and renovation, creating jobs and improving health. For the immediate reversal of the closure of local youth and Connexions services. Funding from central government to pay for it. No to all cuts in jobs and public services. Free education and training for all. Reinstate EMA and abolish tuition fees. We demand huge public investment in job creation and services. 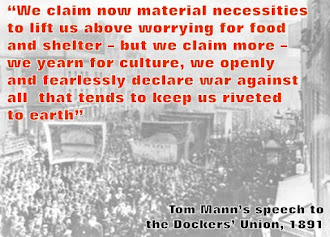 Build a mass campaign to fight for these demands but also to fight for socialist change in the way society is run, with democratic planning of how we use the wealth and resources of society - under working class control and management, not that of the millionaires.